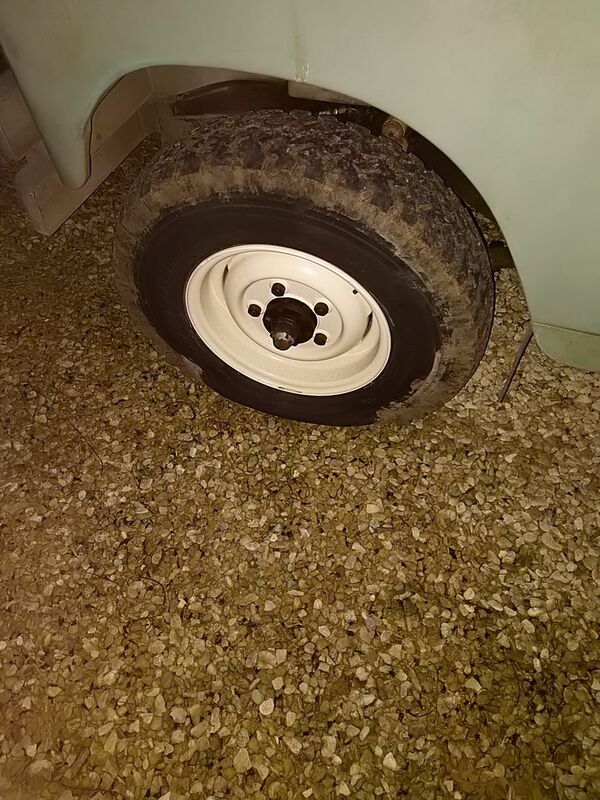 This is the second time the Landrover had blown off the front hub cap! What's causing this? Something is causing the swivel housing to pressurise, but what? UJ damaged? Bearings going? Check that the axle breather is clear. Yup, almost always, if the seal is OK, a blocked axle breather. It's the front axle? There's a seal between the main axle casing and the swivel housing. Or there should be. Would the main axle pressurise the swivels? I will check. It's on remote breathers so it shouldn't block. The breather is clear. The line is unkinked, and I've flushed it with the air line. Banjo bolt is clear too. Should I drill some pits in the swivel balls to let air out, in the traditional manner? Otherwise it's UJ and bearing rebuild of the front swivel. I'm sure I read somewhere that people remove the oil seals between the swivels and the banjo casing to even up the pressure and keep the swivels topped up. Not done this myself. Make sure the seal is fitted the right way round. I think oil was running into the swivel from the axle, while I had the flat tyre. Meaning the oil was running into the swivel and couldn't get out. Two solutions, complete rebuild. Or drop the complete swivel, replace the seal. And put a strategic hole in the seal to equalise the pressure. Perhaps at 10 o'clock? I don't want to completely remove the seal, for fear of starving the other side of oil if I was on a side slope. Great, more swivel work. Just what I need. Ah well, it will run for a while with the breather home in the hub cap. I've never heard of this issue. I certainly wouldn't machine any grooves in the swivel surfaces. 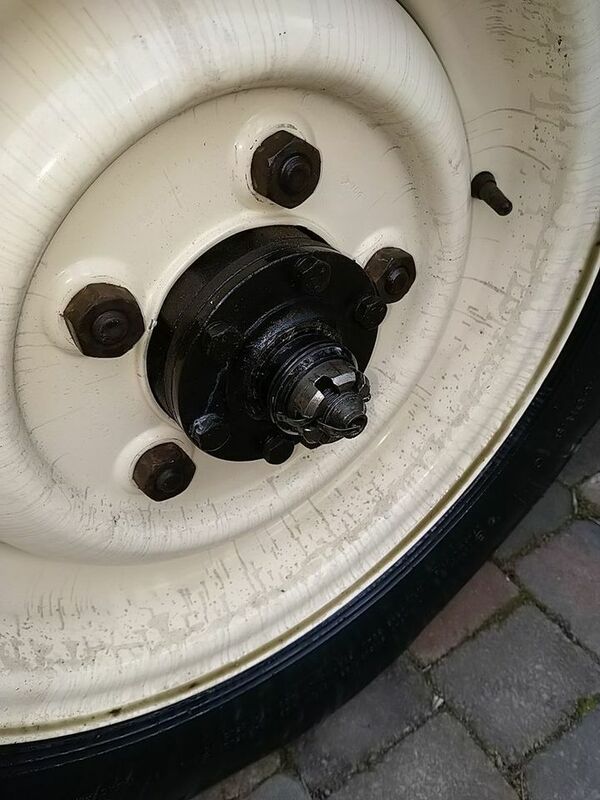 I have a suspicion that rtbarton's comment on the seals may be confused with the mod for the 300Tdi+ stub axle seals to prevent dry splines and their wear on the drive flanges and shafts, but it may also be an established mo on Series' swivels. In all honesty, I think it's just the caps being a bit loose or the o-ring too thin and failing to grip. A good clean of the flange, o-ring and cap and an application of RTV sealant should help if you can't find slightly thicker o-rings, or perhaps you could try removing then o-rings, addinga couple of wraps of PTFE plumbing tape to the groove and then refit. It beats me. That cap was on really tight. I had to tap it on with a hammer, and I suspect it blew off with some violence. The first cap had been on for 6 years of road salt and off road driving, long trips with trailers. I really don't think it just rattled off. Plus there should not have been so much oil on the outside of the drive flange. I'm convinced its pressurising. I could drill a hole in the top of the swivel seal. But I'd rather sort the cause out. I think stripp down and re seal the axle. Then check UJ s and bearings. The diff couldn't cause the half shaft to act as a pump. Could it? I'll run it with the holy cap for a bit. Isn't there supposedly a tiny hole somewhere that let's the swivel breathe into the axle? I very vaguely remember some discussion about such things I think... Was it maybe @Snagger? I had a quick look when I got back from work and nothing has come out of the hole in the cap. I think that means it's not pushing oil out to the castle nut anymore. 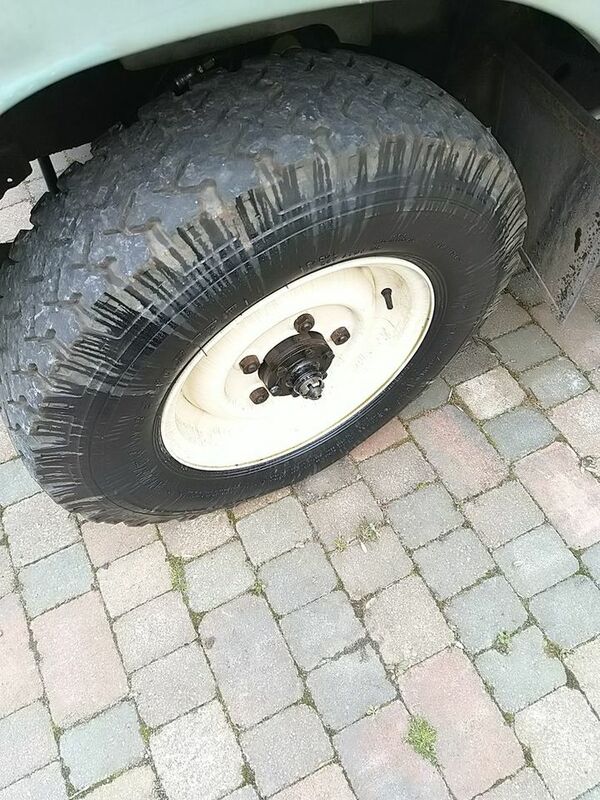 If this is so, then it might have been the 5 days of oil running from the axle to the swivel whilst on the rim. Which points the finger at the axle seal. It's all I can think of. New genuine seals should do the trick, assuming the lands are sound. Someday. I'll check the levels at the weekend and run it as it is until I get a free weekend to do s full job on it. Might out source to eldest who wants to be an engineer, and insured on the truck. Lands on shafts usually OK in my experience, don't have the harsh life the external ones do unless the axle has been run full of mud.